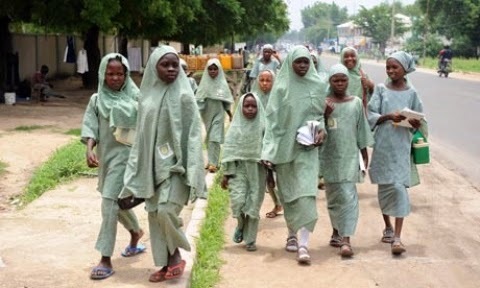 According to reports, 103 girls were kidnapped after an attack on a Girls Secondary School located in Chibok, a town on the border of Adamawa and Borno state last night April 14th. Gunmen reportedly arrived at the school in Chibok around 9pm, killed the soldier stationed to protect the students and took 103 out of the 250 girls that make up the school. The men took the girls away in four lorries. BBC Africa reports that the number of girls abducted is as high as 200. Residents of the area say the raid, which lasted from 9pm-3am, saw the destruction of several properties as the men overpowered the residents who put up initial defense.